Your watch will get a timeless look when this Philip Stein interchangeable watch strap is used. For Signature and Round collection watches, this strap is manufactured in durable brown leather with heavy stitching to trim the edges. The 20mm piece is compatible with size 2 watches, and a stainless steel buckle secures this watch fashionably to your wrist. 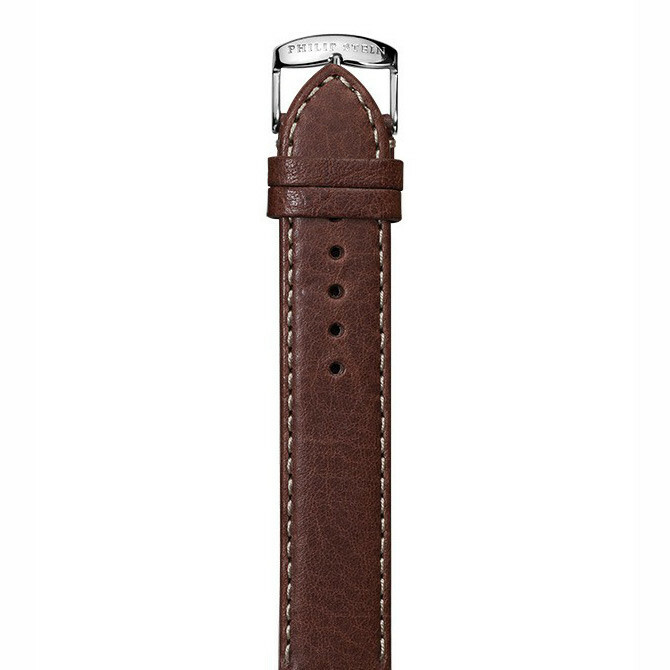 If you want a classic look that never goes out of style, this Philip Stein watch strap is the one for you. JR Dunn has a 10-day satisfaction guarantee for all Philip Stein products.